This system features a projected-power reading, which closely describes the power level at thermal-equilibrium, minutes in advance. 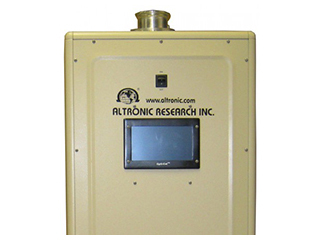 The Altronic Research Power Test Load System comes ready to connect to a Dummy Load in power ratings from 5kW to 200kW. It includes a simple and reliable calorimetry and time delayed interlock. All items are attached to a painted aluminum panel ready to be installed in your transmitter area. These instruments assembled together provide you with the information you need and protect your transmitter at the same time. (Scroll down for video demo). 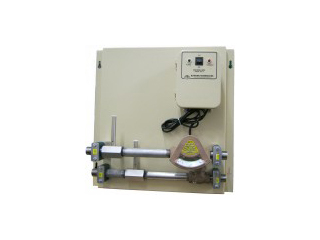 The Model 3500 Digital Calorimetry for Altronic air cooled dummy loads measures RF power dissipated in the dummy load. 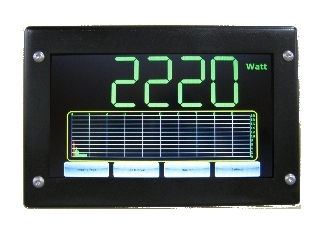 The systems calculate the RF power by measuring air flow and differential air temperature between the inlet and outlet. 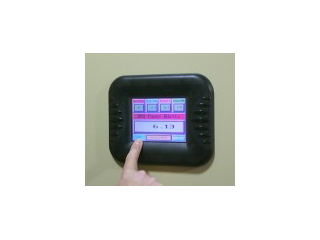 The unit also features a projected power reading, which provides the user with the projected power prior to the total SYSTEM reaching equilibrium. A water based system is also available for water cooled loads from 5kW to 300kW. Both systems operate under a PC or CE environment. Note: For use on higher power loads, consult factory.